Just like humans, dogs, cats and horses can be allergic. 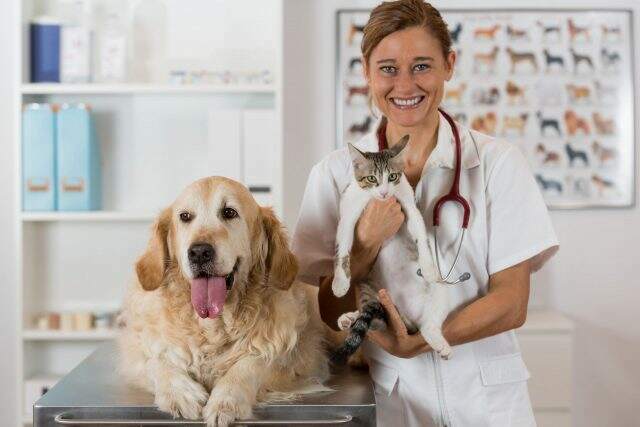 The immunological mechanisms underlying allergy in dogs, cats and horses are essentially the same as in humans. Allergy is a genetically predisposed condition of hypersensitivity to substances which are common and harmless to most animals. The hypersensitivity is caused by a dysfunction in the pet’s immune system. The substances that cause allergy – allergens – include pollens, dust mites, molds, dander, insects, fibers and foods. Exposure to the allergens, by physical contact, inhalation or ingestion, causes the body’s immune system to over-react and produce antibodies to fight off the invading allergens. The over-reaction generates an inflammatory response in the skin and subsequently cause itching, scratching and redness (atopic dermatitis). Pruritus is an essential feature of allergy – its diagnosis requires a history of itching. Cutaneous lesions such as erythema, excoriations and self-induced alopecia also reflect the severity of the disease. Respiratory symptoms (allergic rhinitis, asthma), gastrointestinal symptoms (vomiting, diarrhea, gastritis) and ocular symptoms (conjunctivitis) may also appear. Reduced quality of life – for both pet and owners – is a critical result and has an impact not only on health and wellbeing but also the human-animal bond.